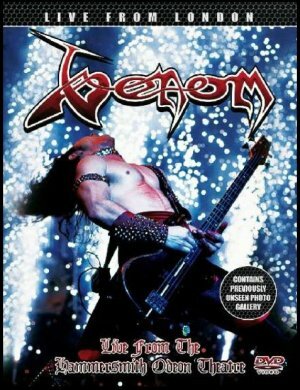 VENOM - LIVE FROM LONDON (DVD) | Online Shop | Wizard LTD. Album: "LIVE FROM LONDON (DVD)"
The stage at the Hammersmith Odeon Theatre has seen thousands of bands perform over the years but few could have put its stability to the test more then Venom. fireworks both on and off the stage!! Bonus Feature: Never before seen photo gallery of the band’s performance.